Starring Gillian Anderson (X-Files, NT Live: A Streetcar Named Desire) and Lily James (Mamma Mia! 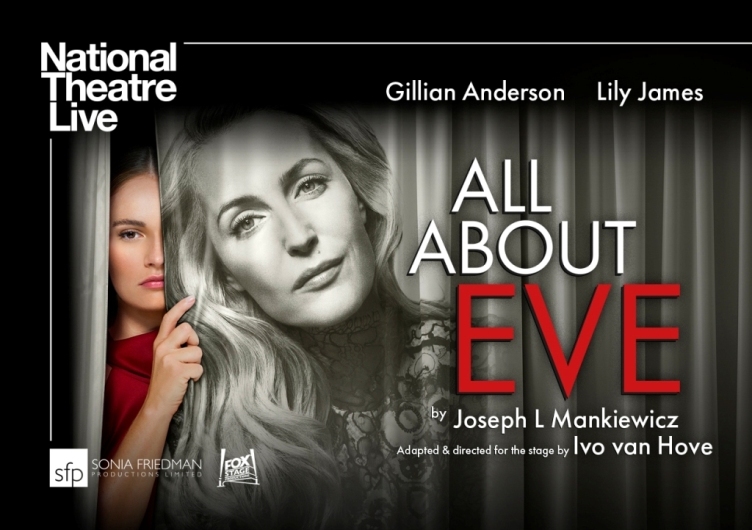 Here We Go Again) and filmed live on stage in April 2019, All About Eve is adapted by Ivo van Hove from the 1950 Twentieth Century Fox film by Joseph L Mankiewicz and the play “The Wisdom of Eve” by Mary Orr. Running time: 2h 10min. Please note this production has no interval.